"And that’s why it is so important today that we reaffirm our character as a nation — a people drawn from every corner of the world, every color, every religion, every background — bound by a creed as old as our founding, e pluribus unum. Out of many, we are one. For we know that our diversity — our patchwork heritage — is not a weakness; it is still, and always will be, one of our greatest strengths." Shortly after I moved back to the United States after living abroad for five years, I began seeing bumper stickers with the motto, "In God We Trust." It seemed to hold a special significance for some of my neighbors. But why? After a little research and reorientation into my home culture, I realized that for many, this motto serves as a counterpoint — and even a rebuff — to our founding fathers' 1782 motto, e pluribus unum, "out of many, one." 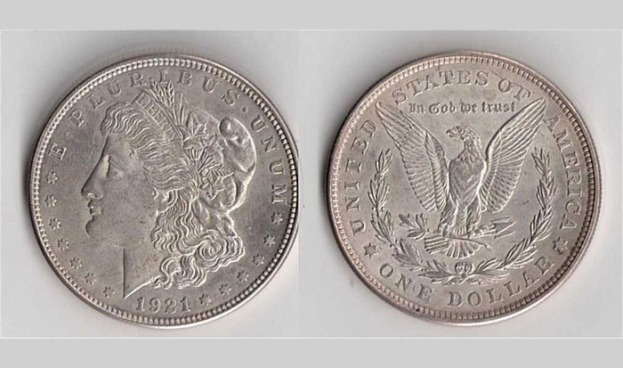 If you study any coin from your pocket closely, you can see "In God We Trust" on one side and e pluribus unum on the other. The social context of each motto is telling. The original motto was born out of the American Revolution, the birth of a nation. The thirteen colonies had become one nation through courage, compromise, and sacrifice. This motto was adopted during a time of hope and served as the de facto motto until 1956, when the mood of the nation changed. "In God We Trust" was adopted during the McCarthy era at the height of the Cold War in a zeitgeist of xenophobia and fearmongering. Today, our nation is once again falling into the hands of fearmongers who are threatened by the "Other." The demonization of immigrants and those seeking asylum in our country is a case in point. Thus, our unity as a nation is fractured by fear, taking a huge toll on the spiritual health of our country. "Out of many, one" also describes the process philosophy of Alfred North Whitehead. That is, the most elemental aspect of reality is made up of unified droplets of experience, created out of diverse influences. There is also plenty of room for God in this universe — for out of the primordial chaos, God created a world of beautiful diversity! God — the "Soul of the world" and the "tender presence" within every droplet of experience — continues to create, wooing creation toward the ever-evolving richness of creative contrasts. And among all the diverse elements that make up each becoming moment, God lures us with all the persuasive power of a lover towards beauty, goodness, and truth. Tragically, that divine lure is often shut out by fear's more primitive urgings. It is this same primitive fear that lies in wait in our psyches — and is so easily manipulated by fearmongers who often resort to the God of "Us vs. Them." But even amid fear's triumphs, the Soul of the world persists, unfolding in radical acts of kindness and compassion and courage. As a minister, I cannot help but see this God in the life of Jesus, the lover of the lowest folks on the social ladder, who dared to reach out to those "Others" who were feared and hated — lepers and tax collectors and disgraced women. What if we were to let go of the God of Fear and embrace the God who inhabits our higher selves — the God of inclusive Love? In Genesis, the first story, we are shown a God who cannot bear to be alone. A God who is driven by love to create a world of flowering and cascading diversity in which nothing is precisely like what came before it; in which each new creature is delightfully fresh and novel; in which God, thrilled by each new creation, says: This is good. And then God creates a creature with the capacity, also, to look at diversity, and to look at novelty, and to say: This is good! And we are told in this story that we are made in that God's image. . . . And so without obligation, God creates a diverse and flowering universe, because God cannot be God if God cannot love. We are, my friends, in God's image. And we also, though, shrivel up and die if we do not have the ability to pour out our love; to celebrate difference; to rejoice in novelty; to see in each other divine sparks; and to be delighted and thrilled by what we see. That's the kind of God process theology offers us — a God of great longing who yearns for beauty, the kind of beauty birthed from the contrasts and differences and creative tension inherent in the multiplicity. This kind of unity is not flat and shallow and tightly controlled, like a one-chord song, but a richly textured harmony, vulnerable and courageous — and, yes, sometimes dissonant — chocked full of rich possibilities for fresh, unfolding, and yet-to-be written melodies. Yes, how we view God really does matter! Do we want our souls to continue to shrivel up in fear with the primitive God of one "tribe"? Or are we willing to stretch our souls into rich tapestries of beauty with the God of inclusive love? It's a life-and-death question for the soul; it's also a life-and-death question for our democracy. May we expand our collective soul and embrace the differences that make us strong. May we accept change and learn to be compassionate to those who are having a hard time with change. May we be brave enough to embrace the secret of lasting unity: e pluribus unum.